Head of US military’s Central Command says start of withdrawal of ground troops from Syria is likely just weeks away. The United States is likely just weeks away from starting the withdrawal of ground troops from Syria as ordered by President Donald Trump, the top US commander overseeing American forces in the Middle East said on Sunday, according to Reuters. 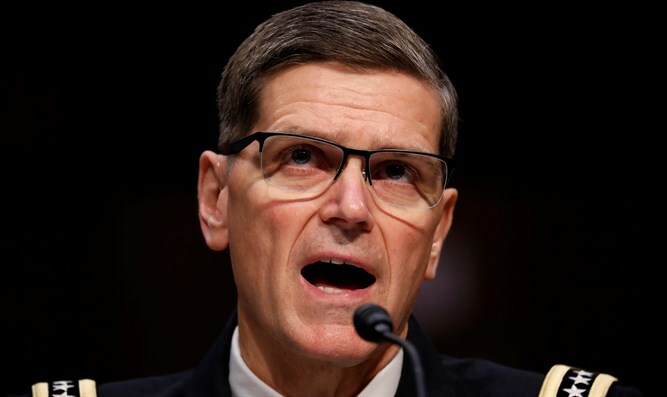 US Army General Joseph Votel, head of the US military’s Central Command, also said he believed troop levels in Iraq would remain broadly steady. “We don’t want to keep people on the ground that we don’t need and (who) don’t have a valid mission,” he explained. In December, Trump unexpectedly announced that he was immediately withdrawing troops from Syria, a move that received backlash from fellow Republicans and caused Defense Secretary Jim Mattis and Brett McGurk, the special presidential envoy to the coalition to defeat the Islamic State (ISIS) in Syria and Iraq, to resign. Trump had initially called for a 30-day timeframe to complete the pullout, but after meeting with South Carolina Senator Lindsey Graham, Trump agreed to delay completion of the withdrawal. In announcing the withdrawal from Syria, Trump cited the defeat of ISIS, which overran large swathes of Syria and neighboring Iraq in 2014, proclaiming a "caliphate" in land it controlled. Trump said several days ago that officials would soon announce that “100 percent” of the ISIS caliphate had been liberated. A report last week in The Wall Street Journal said the US military is preparing to pull all American forces out of Syria by the end of April, even though the Trump administration has yet to come up with a plan to protect its Kurdish partners from attack when they leave.